Click on a color below to learn more about our color glass block. When working with glass block, the design possibilities are endless. This is especially true when you incorporate colored glass block into your design. Color glass blocks can be used in infinite ways to add excitement and color to all of your projects. They can either be placed within a design along with clear blocks to add visual appeal, or entire projects can be constructed from one, or many colors. 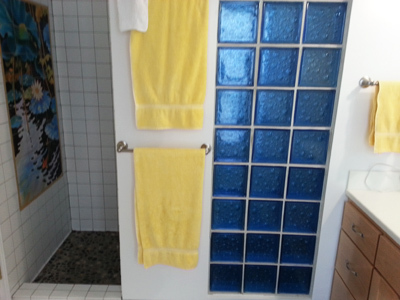 Just as with clear glass block, color glass block still transmits light well and provides a level of privacy. Whether you are a homeowner, contractor, or designer, Color Glass Block can provide you with superior colored glass block solutions. All of our blocks are made in U.S.A. and are available in an extensive selection of colors, patterns and shapes. If you are looking for an affordable and unique way to make a statement through design, consider the use of glass blocks from Quality Glass Block! 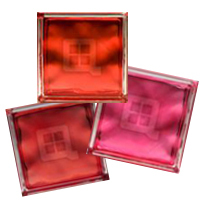 Red glass blocks from Quality Glass Block's color glass block line are perfect for projects such as unique showers, windows, walls, bars. We offer several variations of the color orange for use in your projects. 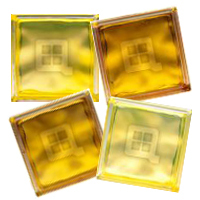 Our high quality Pittsburgh Corning yellow glass blocks are available in many shapes and sizes. 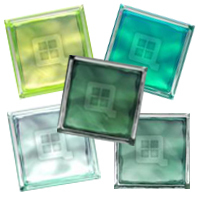 For those wishing to add a sense of calm and renewal to their glass block projects we would like to suggest the use of our high quality green glass blocks. We don't believe in hindering your design possibilities by limiting you to just one variation of blue. 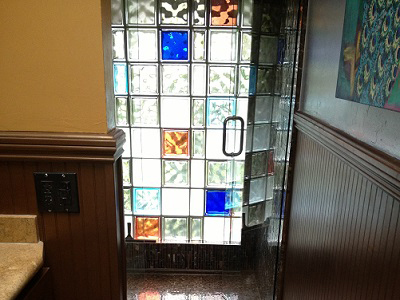 Instead we can offer designers and homeowners several options to make their glass block projects truly unique. 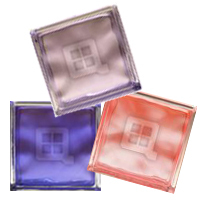 As an accent color, purple or pink glass block can add extra depth and dimension to any project. 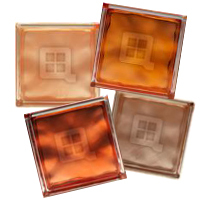 We carry an impressive selection of brown glass blocks that can satisfy any style and color preferences. 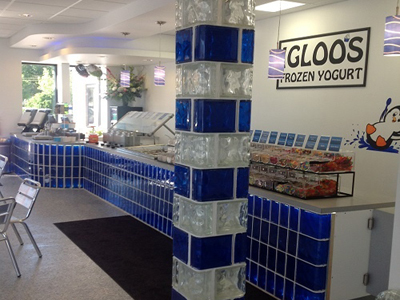 When standard color glass blocks just don't provide the impact or feel that you are trying to present, consider choosing from our premium color glass block colors. 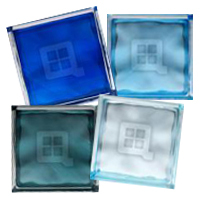 For those looking for the highest quality colored glass blocks and superior customer service, look no further than Quality Glass Block. 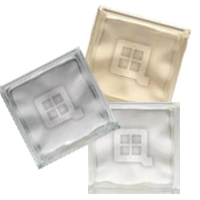 Our color glass blocks are backed by a full warranty, and your satisfaction is of the utmost importance. Whether your colored glass block order is large, or you only require a few blocks, your color glass blocks are made to order. 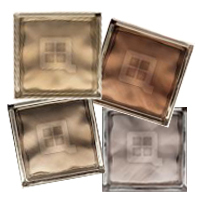 Architects, contractors, interior designers, and homeowners choose Quality Glass Block's Color Glass Block Line to provide the highest quality glass blocks, in the widest selection of colors, at the most affordable prices. Contact us today! 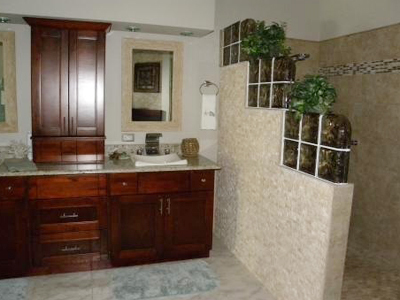 Check out our parent company: Quality Glass Block, Inc.